I had just walked past a local Starbucks in North Center Chicago, when news arrived on my cell phone that the Washington, DC City Council had unanimously agreed “in a preliminary vote” to require that 100% of the District’s electricity must come from renewable sources by 2032. Where can they possibly put hundreds of huge wind turbines and massive solar arrays in DC’s 37,000 urban acres, I wondered. Then, just a few hours later, I received an email from a marketing and public relations firm. 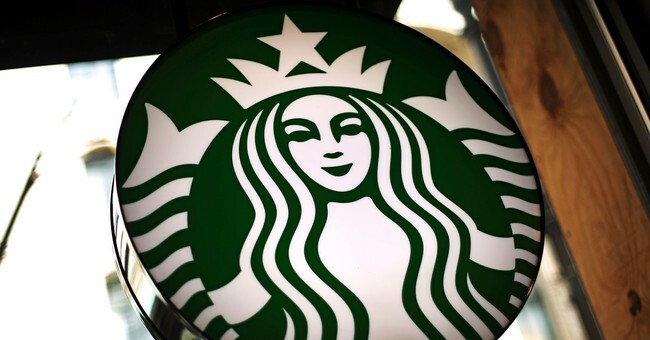 “Starbucks IL Stores Going 100 Percent Renewable,” it announced. The email and a related news release explained thatStarbuckshas entered into an agreement to power some 340 company-operated Illinois neighborhood coffee shops (plus the future Chicago coffee bean Roastery) entirely with renewable wind energy. The project’s nameplate capacity totals 185 megawatts; once fully operational, HillTopper will be able to generate 570 gigawatt-hours of electricity annually under optimal wind conditions. The Starbucks-Enel-Constellation arrangement will involve 48,000 megawatt-hours of wind power annually – “enough tbrew nearly 100 million cups of coffee” in the Illinois shops – the memos state. All these numbers certainly get confusing – an unavoidable problem with wind (and solar) energy, largely due to its notoriously intermittent, unreliable, weather-dependent nature. The problem is also irrelevant to issues that are central to all “renewable” energy and “Save the Earth” campaigns. Major wind projects like HillTopper require scores or hundreds of turbines spread over tens of thousands of acres. Each 600-foot leviathan has a concrete and rebar base that can reach 100 feet below the surface, a 400-foot-tall tower, a monstrous nacelle and generator, and 215-foot-long blades. They kill raptors, other birds and bats by the thousands. And every “wind farm” requires 100% backup by coal or gas-fired power plants that run 24/7/365 on “spinning reserve,” ready to power up every time the wind dies down. During a nasty heat wave in 2012, northern Illinois electricity demand averaged 22,000 megawatts, but turbines generated a miserly 4 MW. Try brewing coffee in 340 Starbucks shops on 4 megawatts. Try operating the lights, refrigerators, AC and computer hookups on that piddling electricity. Those backup units require only a few hundred acres, but they also require extra costs, materials and fuels – which means you need duplicate energy systems. That is not renewable or sustainable, either. Getting down to the basics – in a little life-cycle, cradle-to-grave, global analysis – analyzing the renewability and sustainability of wind energy (and its fossil fuel backup power plants) requires looking into the fuels and raw materials needed to manufacture, install and maintain both systems. Coal and gas power plants require enormous amounts of concrete, steel, copper and other materials. Wind turbine towers and bases require thousands of tons of concrete and steel; transmission lines need steel, concrete, copper and plastic; rotor blades are made from fiberglass, carbon fibers and petroleum resins; nacelles from petroleum composites; generators and magnets from steel, copper, rare earth metals and multiple other materials. Not one of these materials is renewable. Extracting ores for these metals, limestone for concrete, petroleum for resins and composites, requires removing and processing billions of tons of rock, processing and smelting ores into usable metals, refining raw petroleum products, and manufacturing them into finished products. Every step in those processes requires fossil fuels. You cannot make a single wind turbine with wind energy – or transport a turbine … or coffee beans … with wind (or solar) energy. A single HillTopper-sized wind turbine contains about 800 pounds of neodymium, 130 pounds of dysprosium and various other rare earth metals. If you want to use rechargeable batteries, instead of coal or gas backup units, you need lanthanum, specialized rare earth alloys, lithium, nickel, cadmium and assorted other metals – in massive quantities. Those metals come primarily from China, the Democratic Republic of Congo and other places where child labor is common, adults earn a few dollars a day, and health, safety and environmental standards are all but nonexistent. They’re the renewable energy equivalent to“blood diamonds” and slave labor. * Will Starbucks Illinois stores actually get electricity from HillTopper? Will transmission lines (more steel, concrete, copper and petroleum!) run directly from the Enel wind turbines to each Starbucks store? * Or will stores just get fancy certificates, attesting that equivalent amounts of electricity were transmitted from HillTopper to some customers somewhere in the state? * What is powering the shops when the wind isn’t blowing? If the HillTopper electricity is used to brew 100,000,000 cups of coffee a year, is anything left for lights, heat, AC, the Chicago Roastery and so on? * How is it possibly “renewable” energy, if the turbines, transmission lines, backup batteries and backup fossil fuel power plants all require numerous non-renewable raw materials and fuels? * How do you ethically or morally justify getting your electricity from slave and child laborers, who risk their health and lives in filthy, toxic pits, under few or no health or safety standards? * Will you personally lead protests for better, safer, more environmental practices in those countries? Will you risk going to jail in one of those countries, for demanding better wages and working conditions? * Will Starbucks require that Enel Green Power allow independent biologists on its HillTopper sites, to determine precisely and honestly how many birds and bats are killed by turbine blades every year – and prevent company or hired personnel from burying carcasses or letting scavengers haul them off? * How is it ethical for highly profitable companies like Starbucks, Enel and Constellation to profit from a wind energy system that exists only because of government mandates and taxpayer and ratepayer subsidies – and to get glowing press coverage for doing so? * Even with subsidies, wind-based electricity (with battery or fossil fuel backup systems) is more expensive than conventional power. Will the higher electricity be passed along to Starbucks customers – or will Illinois ratepayers in general be saddled with higher prices? * What climate benefits will come from this? Asian and African countries have more than 1,500 new coal-fired power plants under construction or in planning. Assuming for the moment that carbon dioxide actually is the primary force in climate change – how many thousandths of a degreeless global warming will this Starbuck action result in? * Will Starbucks Illinois certify that its coffee will not cause cancer – contrary to the California finding that coffee is a probable carcinogen, and a judge’s ruling that Starbucks must post warnings on its cups? It’s hard not to view this 100% renewable electricity campaign as nothing more than a clever public relations and green-washing stunt, presented to friendly, gullible media, to give these companies accolades they don’t deserve. I’d like to be proven wrong, but doubt that I will be. Paul Driessen is senior policy analyst for the Committee For A Constructive Tomorrow and author of books, studies and articles on energy, climate change, the environment and human rights.